Trim ends of polenta and slice into 16 slices. Brush polenta with olive oil on each side and place on foil lined baking sheet. Broil on each side until crisp on the outside. 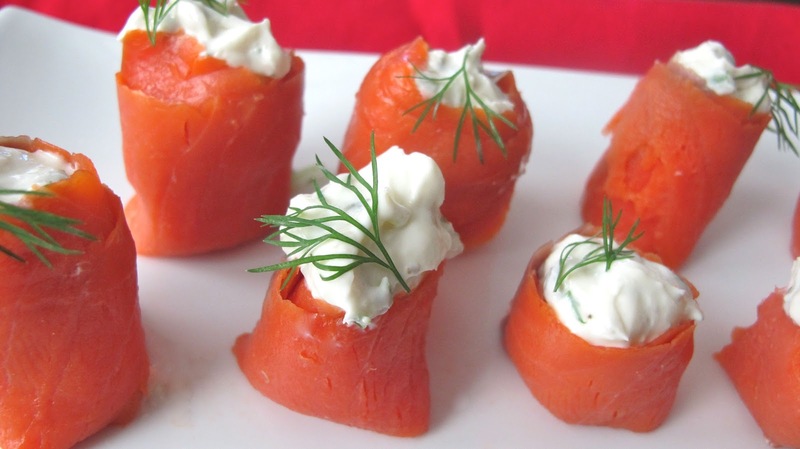 Mix goat cheese and cream cheese in a small bowl and set aside. In a large saute pan, heat bacon fat and add onions and 3 stems of thyme and cook until caramelized, about 20 minutes. Remove thyme stems. Slather cheese mixture over cooked polenta slices. Grind fresh pepper of top of cheese. 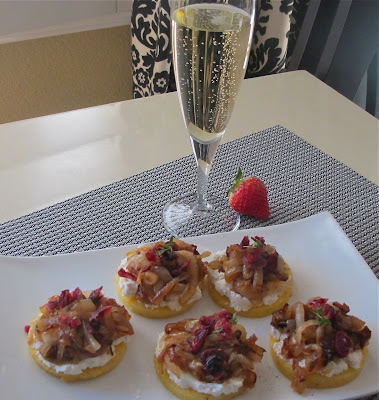 Divide onions over top of each polenta, cheese mixture and sprinkle with cranberries and thyme leaves. Normally this arrives in the mail from a certain store in a red and white tin, but so far this year it has not been delivered, so I tried this at home with good results. Line a 12 x 8 inch baking sheet with foil and lightly spray with canola oil. In a double boiler heat dark chocolate over a low simmer until melted, add half of peppermint extract and stir. Pour onto baking sheet and spread evenly. Let chocolate set up in fridge. 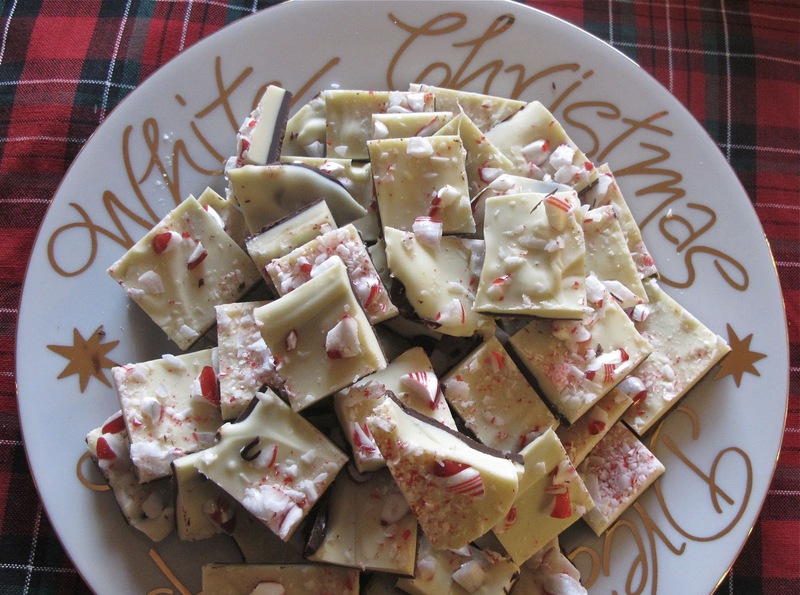 In a clean double boiler, heat white chocolate until melted and add remaining peppermint extract and stir to combine. Pour over top of dark chocolate layer and spread evenly. 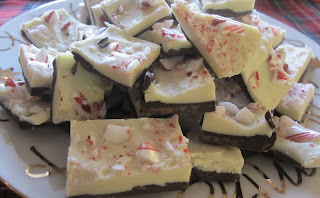 Top with crushed peppermint candies and slightly press into chocolate layer. Take foil out of baking sheet and break apart or cut with a knife. 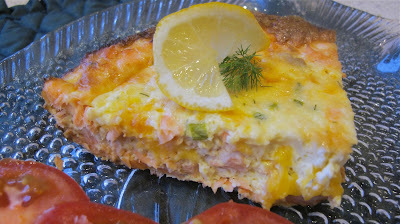 I found this online and it was contributed to Ina Garten. This has a touch of cayenne that can be omitted if you prefer not having a little heat! Cut off ends of squash and discard. Peel squash and cut into half lengthwise. Using a spoon, remove seeds. Cut squash into 1 1/2 inch cubes. 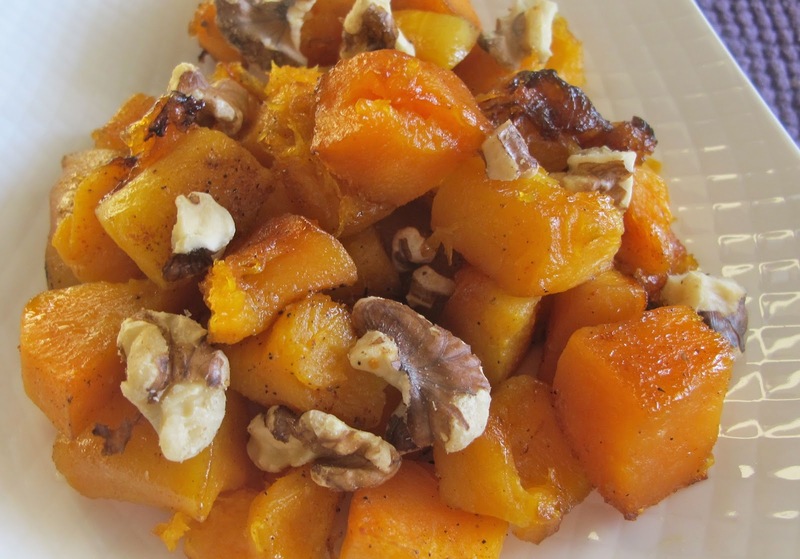 Place cubed squash on a foil lined baking sheet and toss with melted butter, brown sugar, salt and pepper, and cayenne. Layout squash in a single layer and roast 40-50 minutes, turning a few times. Roast until squash is tender and glaze begins to caramelize. I was looking for a quick, last minute snack the other night and this came together. Wash and remove stems from mushrooms. Stuff each mushroom with blue cheese. Cut fat from bacon. Take each slice of bacon and wrap around mushroom cap, cutting bacon to fit and stitching together with toothpick. 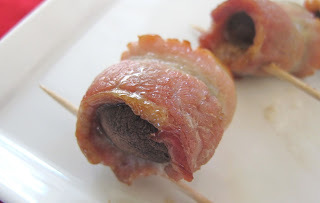 On a foil lined baking sheet, place finished mushrooms and bake about 20-25 minutes until bacon is cooked. Note: Blue cheese could also be combined with cream cheese. 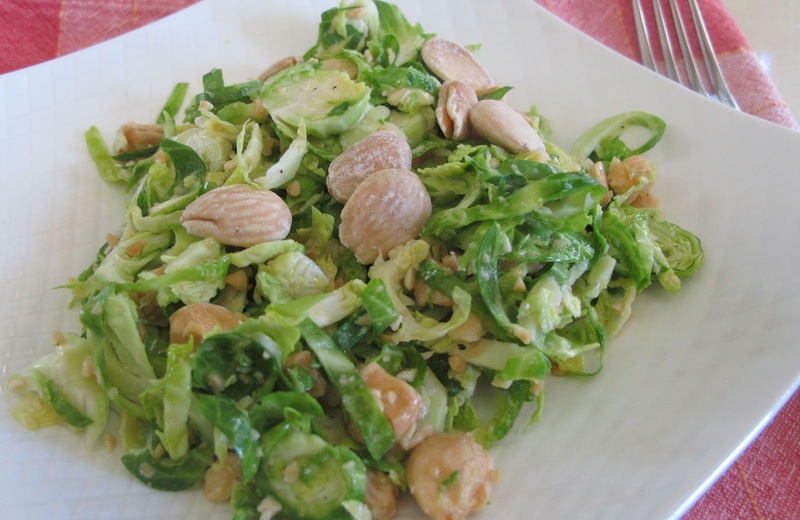 If you don't care for brussel sprouts, this winter salad may change your mind. Place lemon strips in a small skillet. Pour olive oil over lemon strips and allow to steep over very low heat, until bubbles form around the edges of lemon strips. Turn off heat and allow to sit in pan another 10 minutes. Put oil and lemon strips in a small container, cover and refrigerate for 24 hours or up to 3 days. Thinly slice brussel sprouts and put in a bowl. 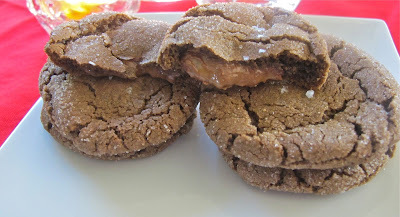 Set aside 4 Tablespoons of almonds and coarsely chop the remainder. Add chopped almonds to brussel sprouts. In a small bowl, stir together lemon juice, honey, salt and pepper until blended. Remove and discard lemon strips from oil, stir oil into lemon juice mixture. Pour over sprouts and toss to coat. Divide among 4-6 salad plates. Garnish with reserved almonds. This classic warm dip is great served with a variety of vegetables, french bread or pita, crackers or corn chips. 1- 10 ounce package frozen chopped spinach, thawed and squeezed dry. In a large bowl, mix the spinach, artichoke hearts, 3/4 cup of Parmesan, mayonnaise, sour cream, hot sauce, salt and pepper. 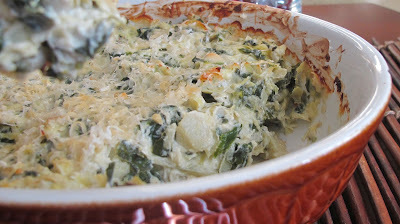 Put into a baking dish and sprinkle top with remaining 1/4 cup Parmesan. Bake until warm throughout and top is brown, about 30 minutes. Refreshing and festive, these little ruby jewels are perfect for any holiday celebration. Pour vodka, Cointreau, Pomegranate juice, squeeze of lime over ice cubes in a martini shaker. Shake until well blended and pour into iced martini glass. 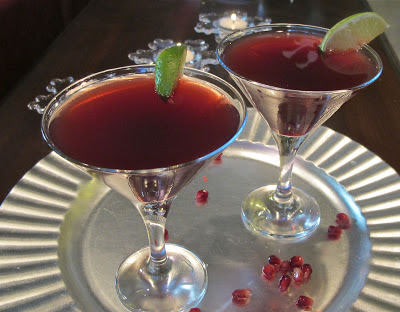 Garnish with lime slice and pomegranate seeds. 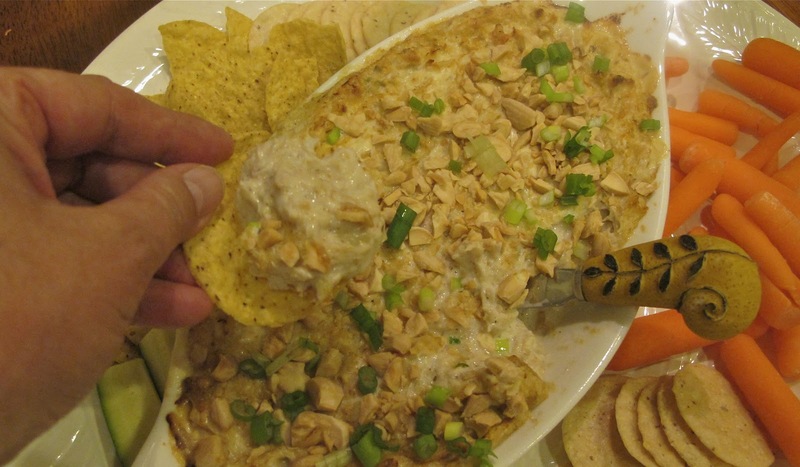 This hot crab dip is easy to prepare and can be held in a little crock pot. 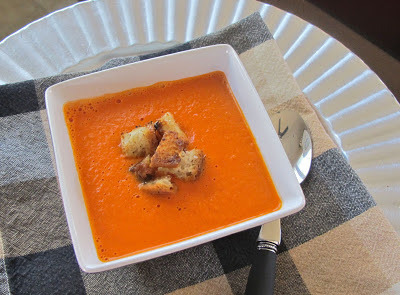 Perfect on cool evenings or for holiday gatherings. In a heat safe baking dish, combine cream cheese, onion, horseradish, Worcestershire sauce, lemon juice, salt and pepper and mix well. 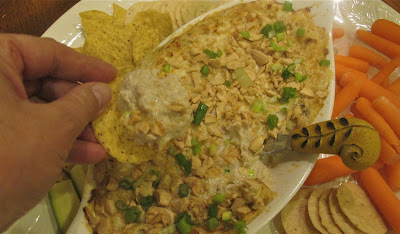 Fold in crab meat. Top with almonds and bake about 20 minutes, until heated throughout. Garnish with green onion and serve with crackers, sliced baguettes or fresh vegetables. These sweet tomatoes are rounded out with a smokey flavor by the addition of a little browned butter. I am addicted to brown butter and sage on pasta and wanted to try it with the tomato for a little winter mellowness. In a large saucepan, add butter and olive oil. Stir in carrots, onion, celery, and cook until softened. Add tomatoes, garlic, water, oregano, Worcestershire sauce, hot sauce, salt and pepper and cook about 20 minutes, breaking up the tomatoes. Stir in cream and heat gently. Meanwhile heat 3 Tablespoons of butter in a small saute pan, swirl the pan around as the butter turns brown, do not burn. Add the brown butter to the tomato mixture. Process in batches in the blender.